Cooking has been a great asset to teaching my kids science, basic math, and nutrition. One of our recent studies was on a mostly-unicellular microorganism very familiar to the kitchen — yeast. The boys learned how to make gluten and dairy free bread using these dynamo fungi. After deciding to change our family to an anti-inflammatory diet, sandwich bread was a real issue. Our children enjoy a MANwich (the term they use for “sandwiches a man eats”) packed full of protein and an occasional piece of toast so I needed to find a healthy replacement. 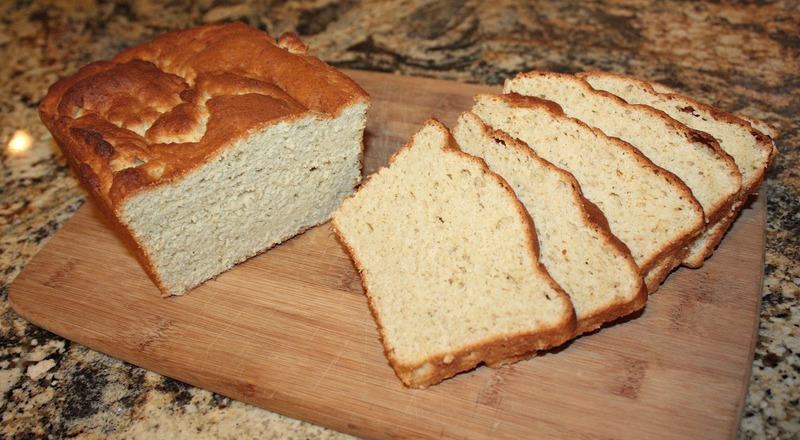 The idea of making my own GF bread was a little intimidating but because many store-bought brands boast less nutrients than cardboard, I decided it was worth a shot. I am happy to say we (I say “we” because the kids have helped me tweak this original formula from Allrecipes) have created a tasty end result. Our brood has tried the gamut of GF breads and in my opinion, this one beats them all! 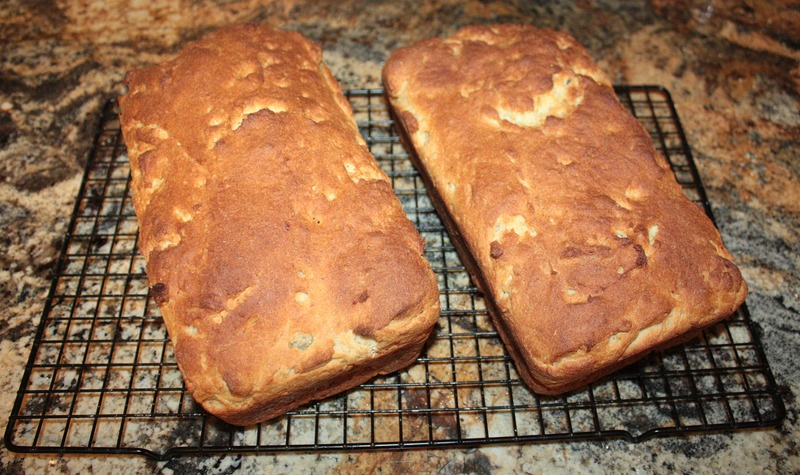 This recipe is simple, quick to throw together, and uses whole grains. I have often heard it said that GF flours are “picky” but I have found this particular method very forgiving. If you are on are the hunt for an alternative to wheat-based bread products, this is a great place to start! One of the best ways to keep GF flours and seeds organized is to store them in accessible containers with labels. Our grains have a high turn over rate so most of mine stay in the pantry. Grab a stand mixer (a good handheld would work if need be); measure and pour all of Part 1 ingredients into the mixing bowl. Using the flat beater blade (no dough hook needed), premix the ingredients on low for a few seconds. Measure and pour Part 1 ingredients into a mixing bowl. Easy enough! Next, grab the saucepan, thermometer, small glass bowl, and Part 3 ingredients. Mix water and sugar in pan on the stove and heat on medium-high until the temperature is between 105˚ and 110˚. 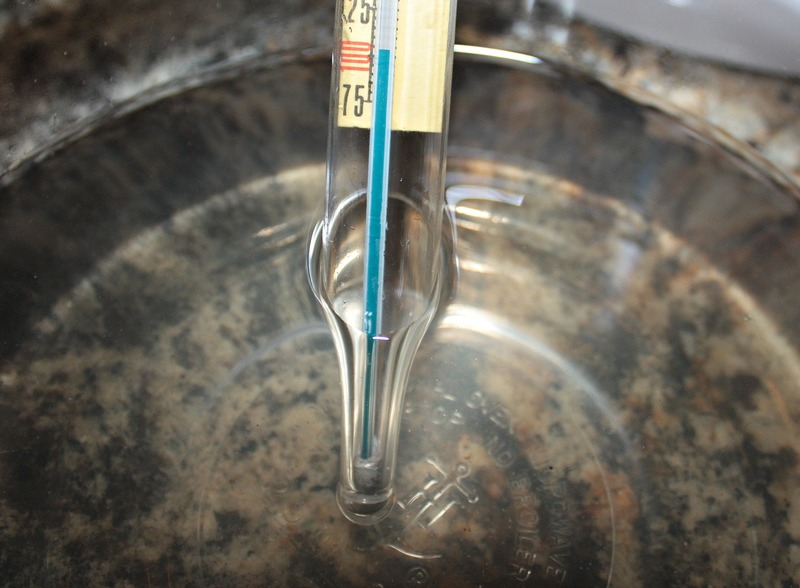 Once the liquid reaches the correct temperature, pour into a glass bowl. Once heated, pour the water into a glass bowl and check the temperature again (105˚ – 110˚). Add the yeast to the mixing bowl and then pour in the coconut oil last (make sure the oil is not too hot). Add the yeast and then melted coconut oil (this keeps the coconut oil from hardening back up). 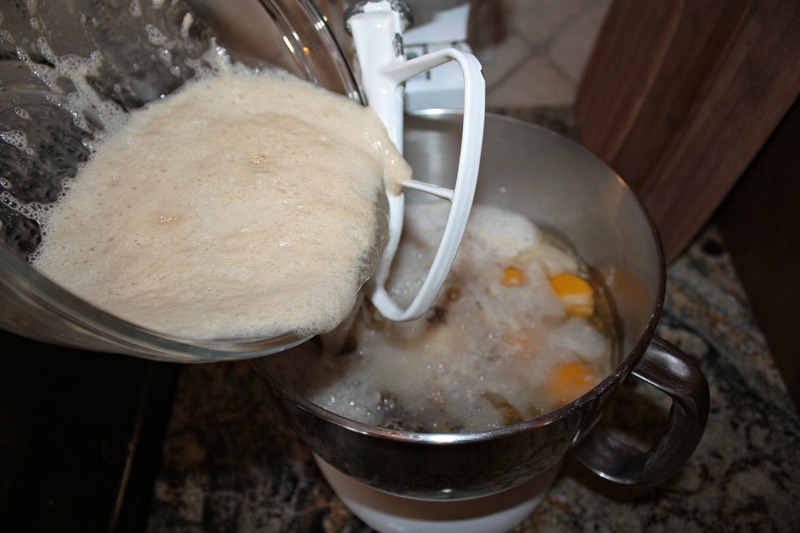 Start mixer on low speed; moving to a medium speed once all of the ingredients are wet. Continue blending until it is thoroughly mixed (about 1 – 2 minutes). 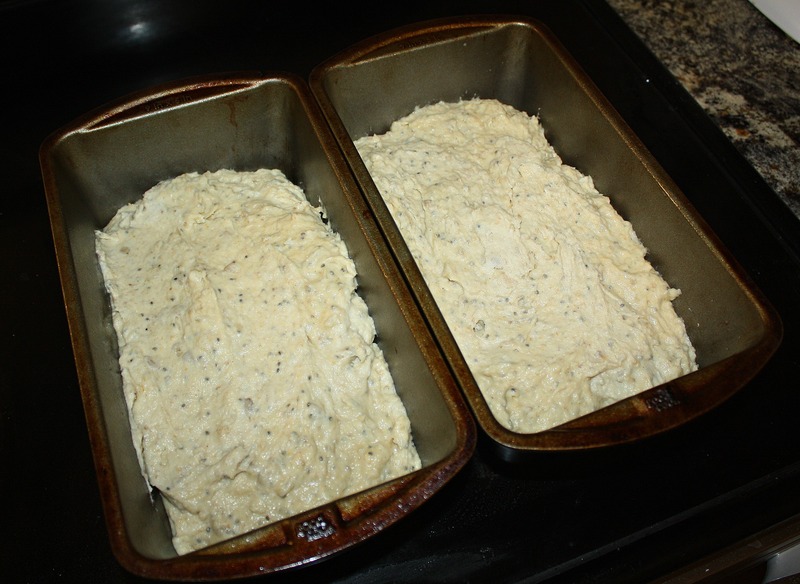 Divide into two 9×5 GREASED loaf pans. Using the back of a wooden spoon, smooth the dough into the pans (wet the spoon if it sticks). This will help press out any air bubbles. Ready to rise! I added chia seeds to this particular mix. 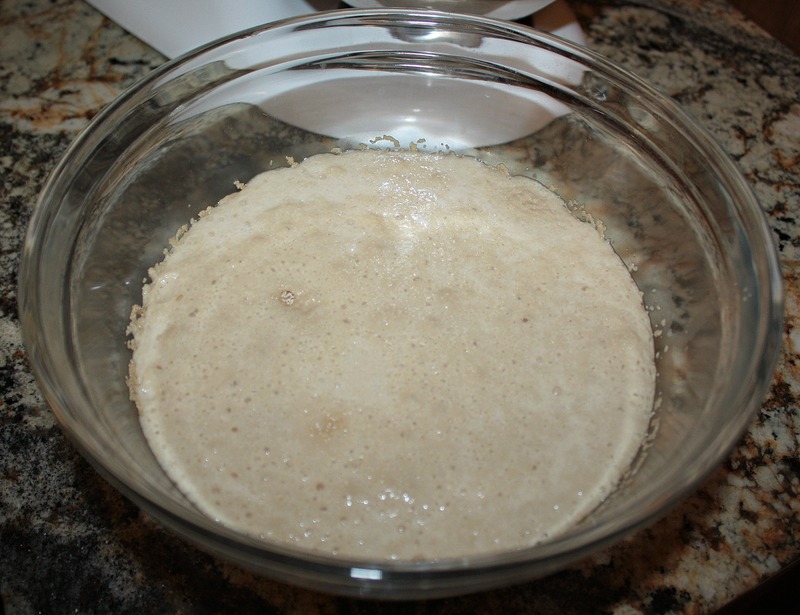 When the dough has completely risen, carefully remove the towel and bake GF bread in the oven for 25 minutes. Once the time is up, continue cooking in five minute increments until the crust is dark brown. Thump the top of the bread, checking for that distinct hollow sound. 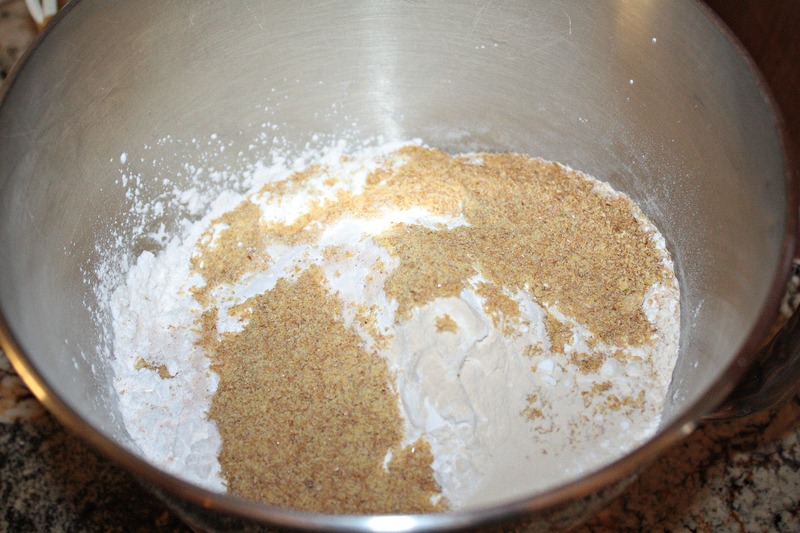 Instead of 2 2/3 cups brown rice flour, use just 2 cups brown rice flour and 2/3 quinoa flour. 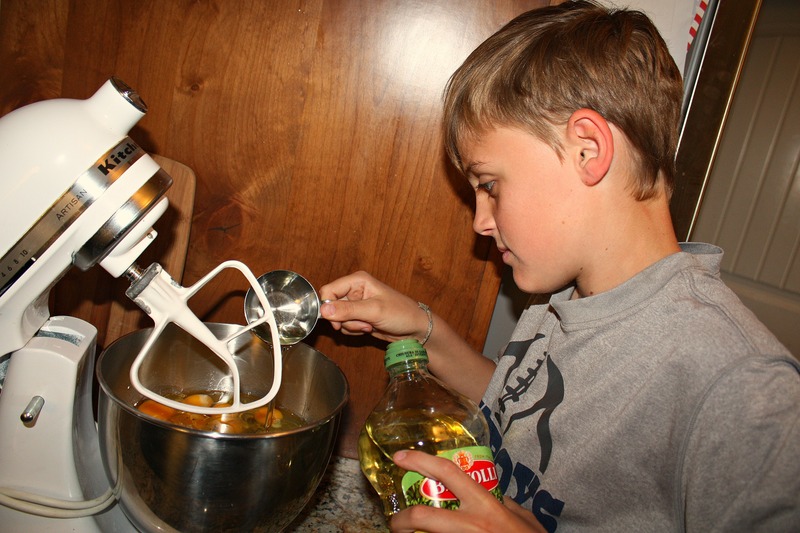 Cooking is a great way to teach kids a wide variety of skills. Not only do they enjoy it but it can be a big help for mom when she doesn’t have time to spare in the kitchen that day.